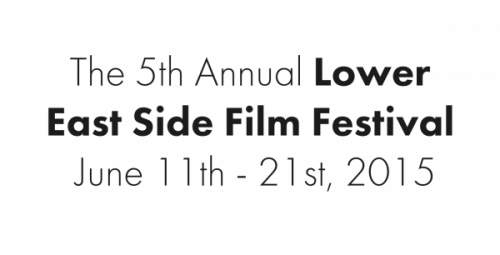 The 5th Annual Lower East Side Film Festival will be taking place from June 11 – June 21st, 2015. The L.E.S. Film Festival features work from exciting & innovative up and coming filmmakers. This year’s opening night movie will be Life In Color. Out of work and with no place to live, a fired nanny and a struggling comedian are stuck house-sitting together. To get back on their feet, this odd couple reluctantly helps each other overcome the very personal obstacles that are holding them back – both in life, and from each other. It stars Katharine Emmer, Josh McDermitt from The Walking Dead, Jim O’Heir from Parks and Recreation, and well-known comedians Adam Lustick from Harvard Sailing Team and The Office, and Fortune Feimster from Chelsea Lately and Last Comic Standing. Director Katharine Emmer will be in attendance. The closing night film will be A Brave Heart. The Lizzie Velasquez Story is a documentary following the inspiring journey of 26 year old, 58 pound Lizzie from cyber-bullying victim to anti-bullying activist. Director Sara Hirsh Bordo will be in attendance. Tags: Film, LES Film Festival, nyc. Bookmark the permalink.